Battle for trivia supremacy on QuizUp! 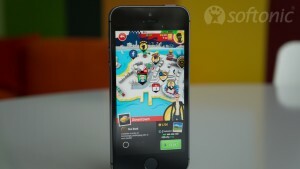 QuizUp is a sleek, clean, and addictive free quiz game for iOS. 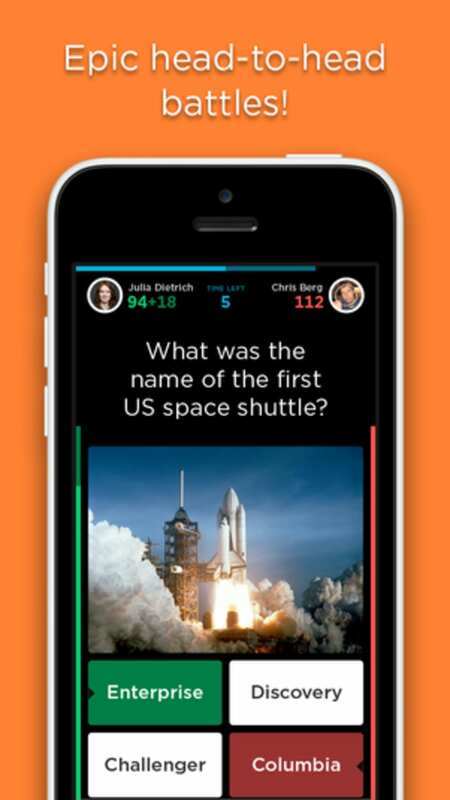 You can take on players from all over the world in a slew of categories for trivia supremacy. 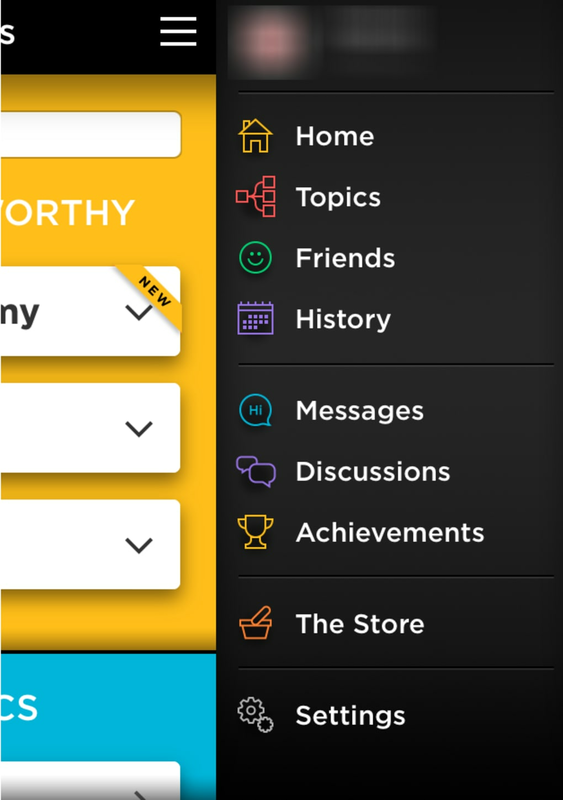 Visit QuizUp.com to get a more detailed view of categories, rankings, and profile info. 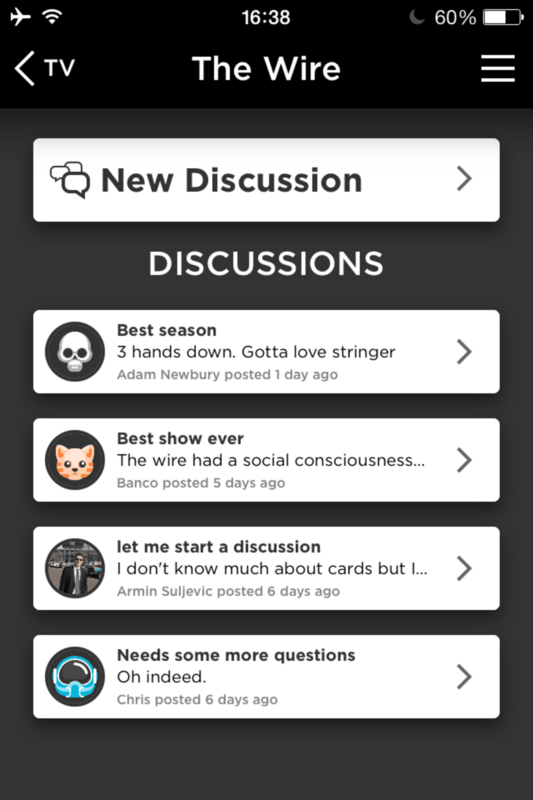 Players chatting about the Game - a robust discussion board is one of many features. Check out detailed post-match statistics. 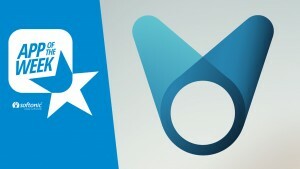 The game uses an intuitive menu for navigation. 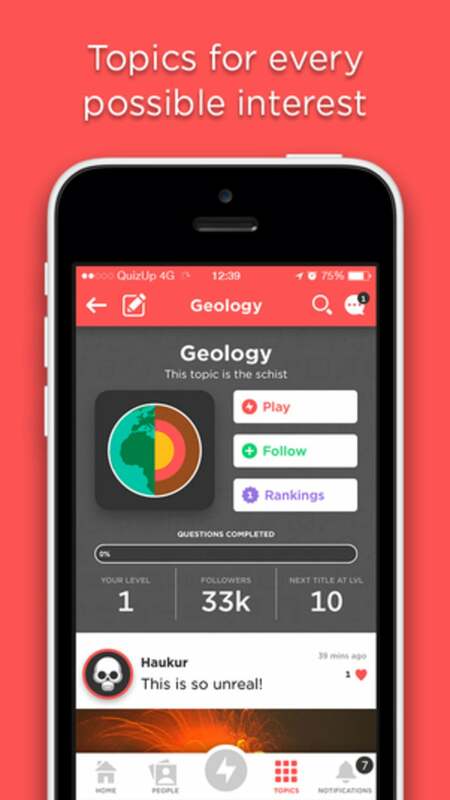 QuizUp, which had over 1 million downloads in its first week, offers a massive selection of different quizzes divided by subject. 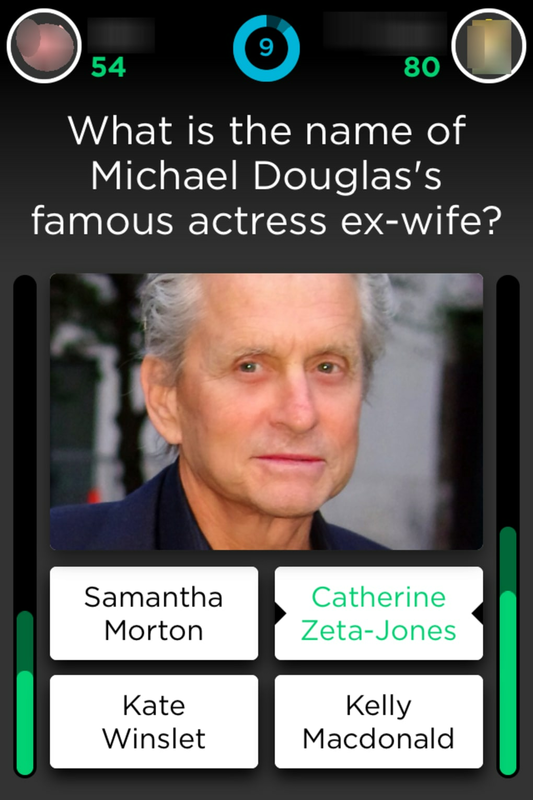 Categories can be as broad as general geography knowledge, to something ultra-specific like Breaking Bad trivia. 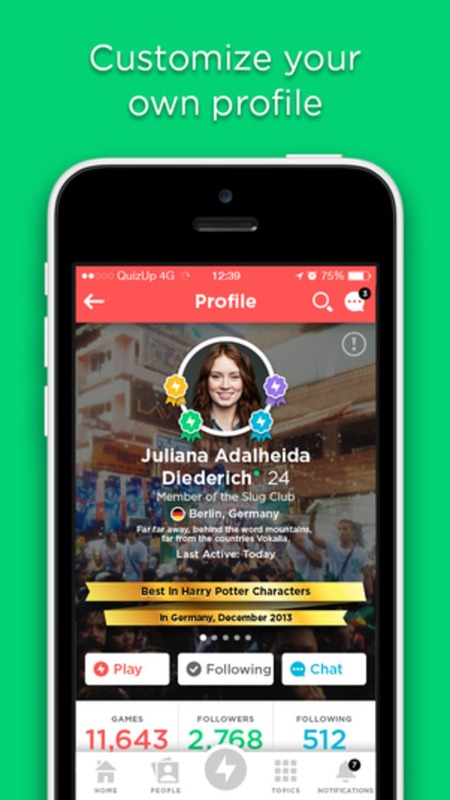 Each category has its own individual ranking that can be viewed by country or globally. 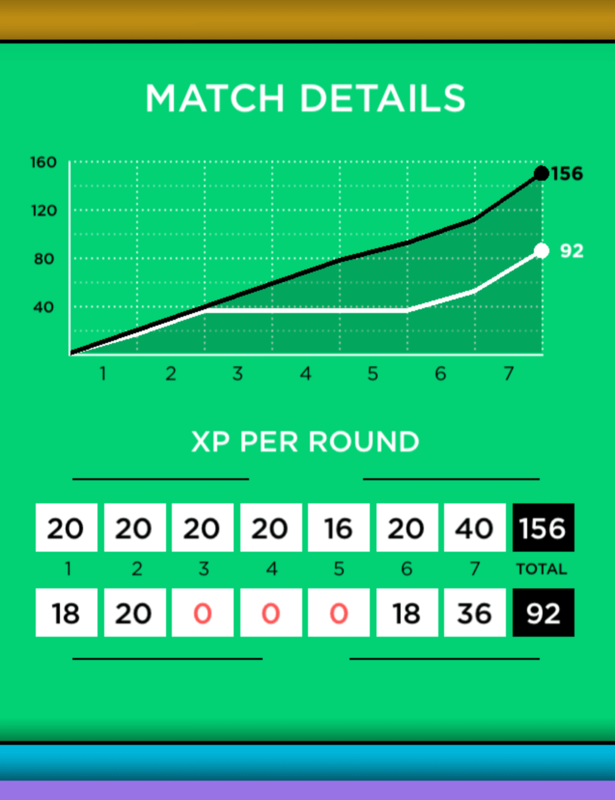 After each match, QuizUp provides an array of data and graphs detailing missed questions, your performance, as well as your record against that specific opponent. 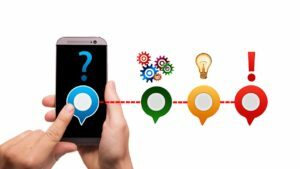 The game doesn’t require players to wait, invite friends, or buy in-game content to play for long periods of time: you can play as long as you like without interruption. 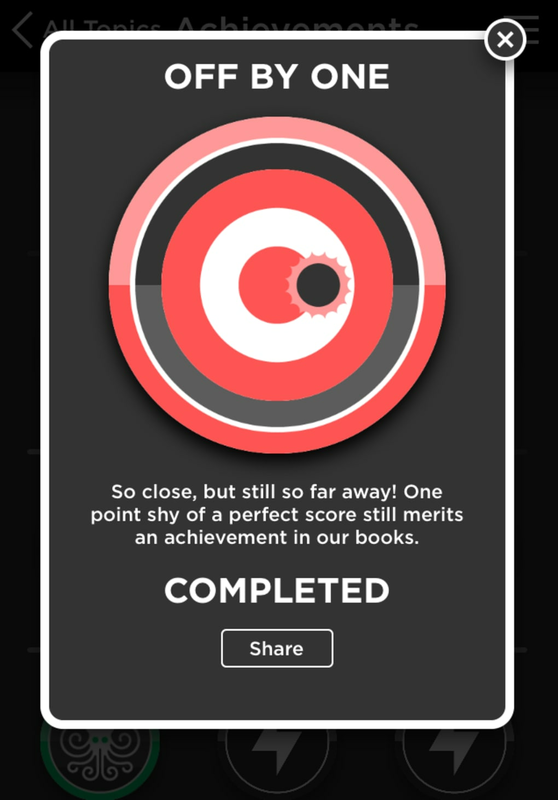 QuizUp’s purchasable content is buying more experience points, which contributes to a higher rank. At first glance this might seem like it hurts the integrity of the ranking, but it’s a happy trade-off considering that there’s no bombardment of advertisements or requests to invite your friends. Plus, someone who bought their way to the top is not likely to stay there long if they don’t have the skill. Players face off in seven rounds- six plus one bonus round worth double points. You have ten seconds to choose one of four possible answers for each question. 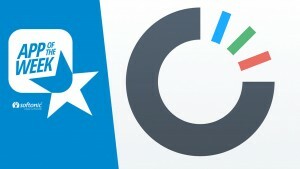 This means that a game is not likely to last much longer than a minute, but that works in its favor as you’re more likely to keep coming back for more games. 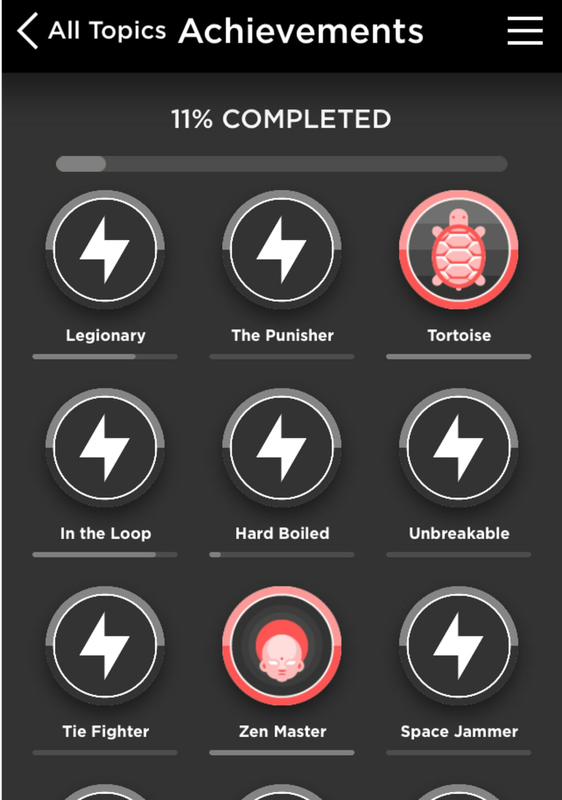 QuizUp gives points for speed and accuracy. There is also a strong social aspect to the game. Aside from being assigned opponents based on your experience, you can also add and challenge friends in-game or via Facebook. Games between friends can be played simultaneously or at different times, with results being posted after both players have finished. 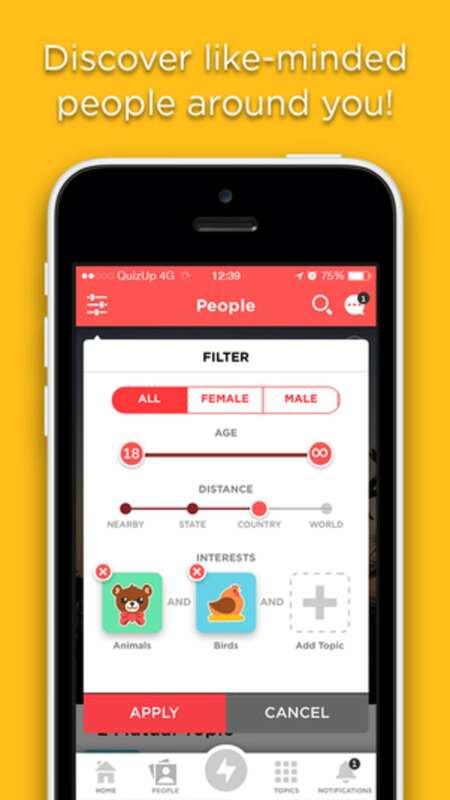 Statistics can also be viewed at Quizup's equally well-designed site. 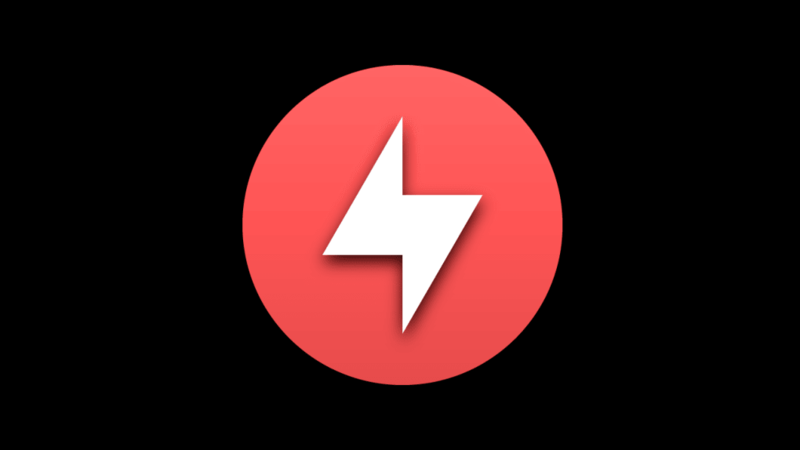 QuizUp provides a free and incredibly addictive worldwide pub quiz experience in the palm of your hands. 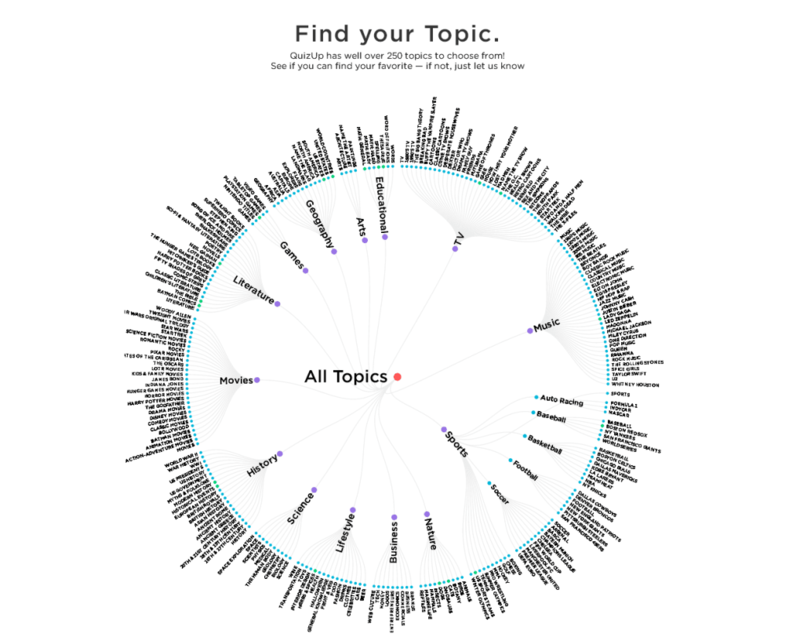 Whether you’re a Roman history buff or a Game of Thrones fanatic, you’re sure to find a topic to show off your expertise. 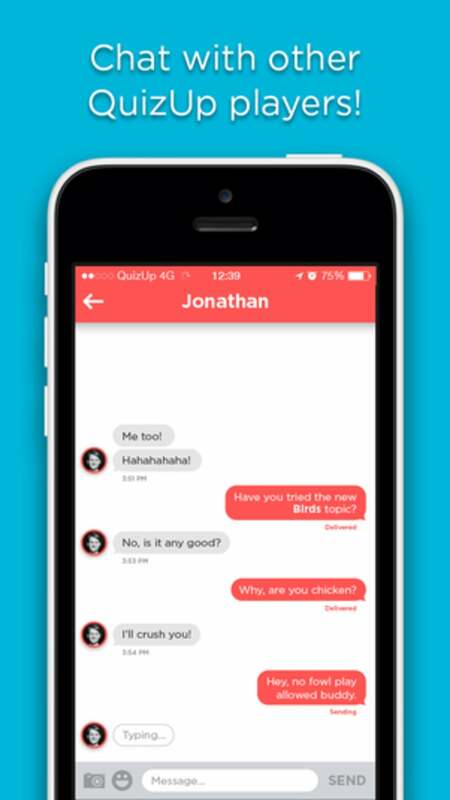 What do you think about QuizUp? Do you recommend it? Why?